I have always loved listening to saakhis. All kinds…from stories about the Guru’s childhood and their travels, to the tales of courage and bravery of the Khalsa on the battlefield – there is nothing I loved more than to be transported to the era of my Gurus and the heroes of our faith. Whether it was at home, the Khalsa School, or Gurmat camp, I would take every opportunity I could to listen to a saakhi about Sikh history…my history. Much of that enthusiasm carried through my childhood, but as an adolescent, I started listening with a more critical ear. I remember once at camp, a teacher shared with us the story of Vaisakhi. Wait!…What? Sword dripping in blood? Where did this come from? I immediately raised my hand, and the instructor explained that Guru Sahib had slaughtered a goat behind the tent. I never heard this before. Why would Guru Sahib need to fool the crowd in this way? Weren’t they shocked enough that he was asking for a head in the first place? Why did this saakhi have to be unnecessarily embellished? I wondered how many other different “versions” of the saakhi were out there. After much debate on this saakhi with the instructor and friends, I started re-thinking many of the saakhis I grew up with. Unlike gurbani, many of these stories have been passed down generations through oral tradition and have only recently been documented in the last hundred or so years, so how do we know what is fact and what is fiction? Especially those that border the realm of logic…the ones I was always amazed by. Did Baba Deep Singh really fight in battle with his head in his hand? In Mecca, did the Kaaba really move to the direction of Guru Nanak’s feet? Although I started to doubt many of the saakhis I grew up with, it did not shake my faith. In fact, what inspired me most of the Guru’s lives were some of their worldly accomplishments – they were artists, poets, soldiers, human rights activists, environmentalists, city planners, architects, businessmen – all while living a productive family life. The fact that Guru Sahib took a stand against the caste system at age 9 by refusing to wear the Hindu janeeo…this is what amazes me! The fact my Guru directly challenged oppressors like Babar during his brutal invasion and called him out as a tyrant…this to me is the magic of Guru Nanak! Furthermore, some of these “super-hero” like saakhis that defy reality can be harmful too. Why would we want to make the Gurus larger than life and further distance ourselves from them? Maybe this is why people have resorted to babas and other intermediaries because we have made the Guru so “off-limits.” After much thought on this, I stayed away from these “questionable” saakhis at camps and retreats and focused on those that were more logical or could be supported through bani. Many years have passed and as I’ve started telling saakhis to my own children, I find myself with a dilemma. Part of me wants to tell the same stories I was told as a kid, so I can see their eyes light up in enthusiasm and amazement, the same way mine did…even if the stories are a bit exaggerated. Although I’ve decided to share only those saakhis that seem more realistic and practical, I still tend to “leave a little room.” As I’ve discovered on my journey of Sikhi, the more I learn, the more I realize I don’t know. The fact of the matter is, I wasn’t there when Guru Sahib squeezed milk from Bhai Laalo’s bread and blood from Malik Bhago’s. I wasn’t there when he stopped the boulder with his hand. I wasn’t there when Guru Sahib asked that his feet be moved away from the direction of the Kaaba…so perhaps I shouldn’t let my parameters of logic restrict my understanding of history. Maybe through simran, further reflection, and learning…my parameters will also change. We come from a rich and proud history. And as we individually connect with the events through our story-telling tradition, there is likely to be variation in the ways our stories are told. What is more important is that we are able to extract the central message – whether it is equality, truth, justice, or compassion. I hope that saakhis continue to inspire generations to come and the eyes of Sikh children (and adults) continue to light up with these tales of compassion, courage and heroism. Because when a saakhi from our history is conveyed with enthusiasm, emotion, and love…it is nothing short of magic! I was really moved by this audio essay from Cecilia Muñoz titled “A Little Outrage Can Take You a Long Way” on NPR’s This I Believe segment. In her reflection on activism, I connected with the statement about defeats outweighing victories, and how it motivates her to continue her work. Like many of the TLH readers, I too take time out my schedule for service activities. And after serving 100 or so meals at a homeless shelter, I go home feeling good about myself and the good deed I had done. Unlike Muñoz, I don’t stay awake thinking of the 100 or so people who were turned away that day at the shelter, or those who wouldn’t have a place to sleep that night. Maybe this is what separates me from real activists. To me, service has become an event or an activity – for an activist, service is a part of their life…part of who they are. They are constantly looking for ways to serve. There was so much slaughter that the people screamed. Didn’t You feel compassion, Lord? But in the brilliance of Guru Nanak, he managed to channel that outrage in to compassionate activism. As a child, attending Khalsa school and camps – I would learn about these different facets of Guru Nanak’s life and teachings. But to be honest, I struggled to understand the spiritual elements – concepts like Naam, Kirpa, Jeevan Mukti, all of these were abstract…I didn’t really “get it.” But when I read about Guru Nanak’s history and his activism…that, I got. When Guru Sahib at age 9 rejected the caste system by refusing to wear the janeoo…I got it. When Guru Nanak directly challenged the oppressive ruler Babar, during his invasion in the early 1500’s, and called him out as a tyrant…I got it. When he established the concept of Langar, where no matter what caste, creed, religion, or socio-economic group you were a part of – everybody sat together on the floor to share a common meal, and by doing so shook the very core of the caste system…I got it! It made sense to me. I connected with it. And now as I’m slowly grasping a bit more of the spiritual elements of Guru Nanak’s message and putting the pieces together – I’ve learned that in Sikhi, spirituality and a connection with God (as essential as it is) it is not an end itself. Guru Nanak, with all his knowledge and piety, did not retreat to the hills and have followers come to him for advice. No, instead…he became an activist, an activist for the defenseless – to create a society based on complete human freedom and equality. 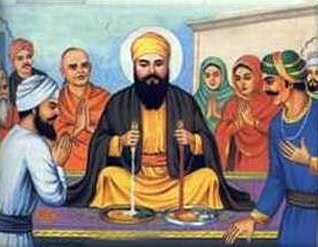 Guru Nanak, and the Gurus to follow, were advocates for social justice, culminating in Guru Gobind Singh establishing the Khalsa with the deliberate plan that the down-trodden, even the out-castes, achieve social equality and capture political power. Based on the examples the Guru’s have set for us, I believe that being an activist is a requirement for a Sikh. But how do we become and foster activists? As a parent, I’m always trying to think of ways I can teach Sikh principles to my children, and I know for many of the customs, rituals, and routines of a Sikh – they will learn it – through camps, through Khalsa schools and other structured learning. 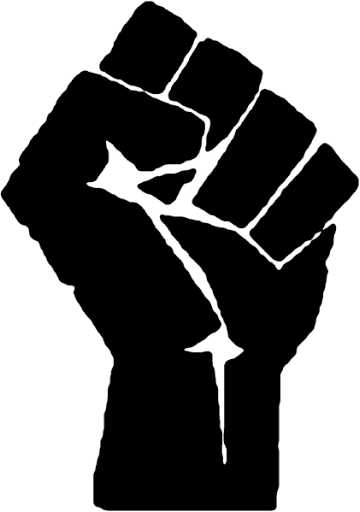 But when it comes to activism, such an essential part of our faith…I believe it will only be learned through example. So perhaps I need to be a little more outraged. Or at least not get too comfortable. Maybe I need to keep a part of me always a little restless…searching for ways I can help a cause. I know there is so much injustice in the world. I know there is so much that would affect me, if I only cared enough to look. Right now, somewhere in this world, there is a cause that needs my voice, a movement that needs my pen, and a march that needs my feet. Somewhere there is a fist I can raise, a rock I can throw, a fight I can fight, or a compassionate hand I can lend…all I have to do, is care. This is the example Guru Nanak has set for me. The only question is…what am I going to do about it?